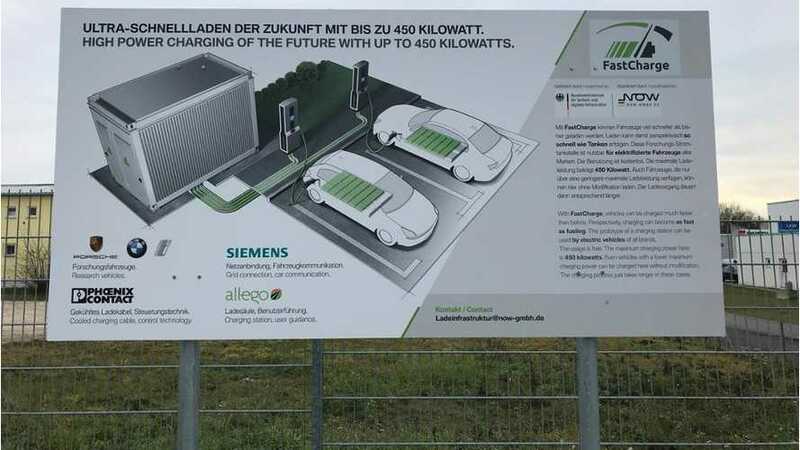 The industry consortium (Allego GmbH, BMW Group, Phoenix Contact E-Mobility, Porsche AG, Siemens AG) involved in the research project “FastCharge”, started a year ago, launched an ultra-fast charging station rated for 450 kW and at up to 920 V.
This special prototype charger puts the Combined Charging System (CCS) (Type 2 version) to the limit to achieve 10-80% recharge in about 15 minutes. The good news is that the new charging station can be used free of charge right away. Jettingen-Scheppach. 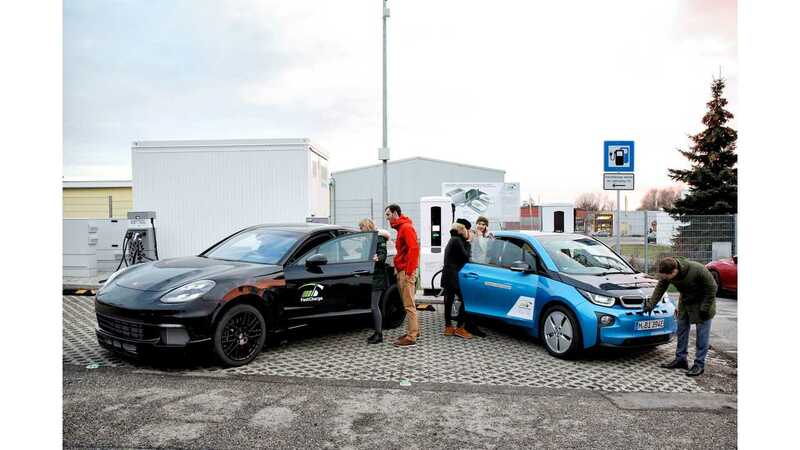 The industrial companies involved in the research project “FastCharge” yesterday presented the latest advancements in the field of fast and convenient energy supply for electrically powered vehicles. 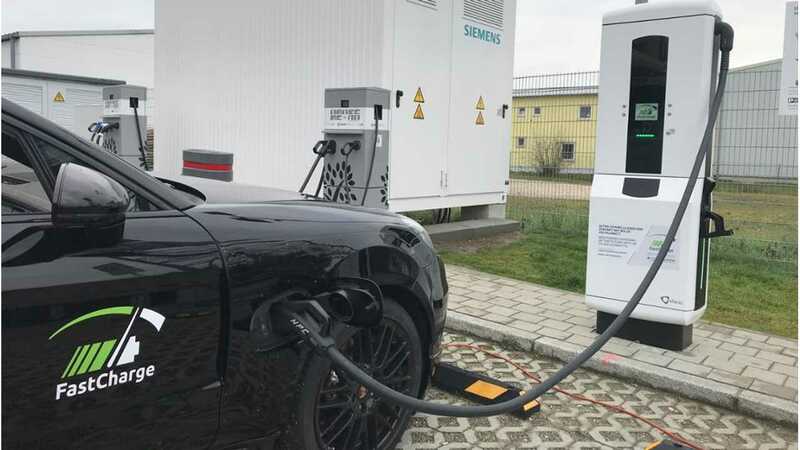 The prototype of a charging station with a capacity of up to 450 kW was inaugurated in Jettingen-Scheppach, Bavaria. 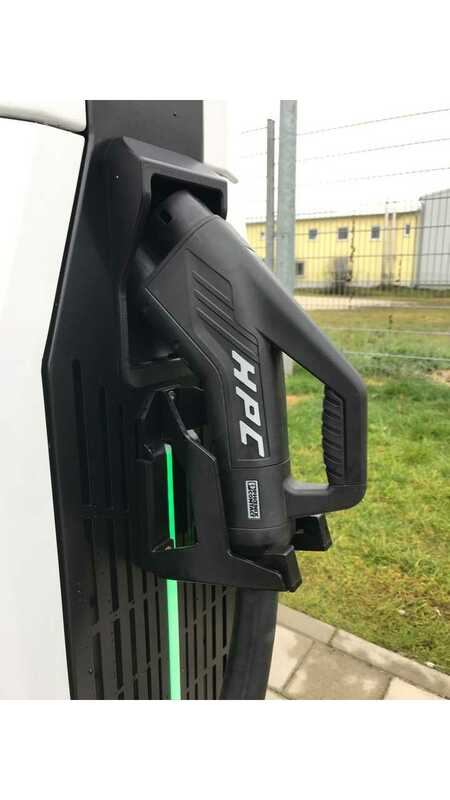 At this ultra-fast charging station, electrically powered research vehicles created as part of the project are able to demonstrate charging times of less than three minutes for the first 100 kilometres of range or 15 minutes for a full charge (10-80 % State of Charge (SOC)).